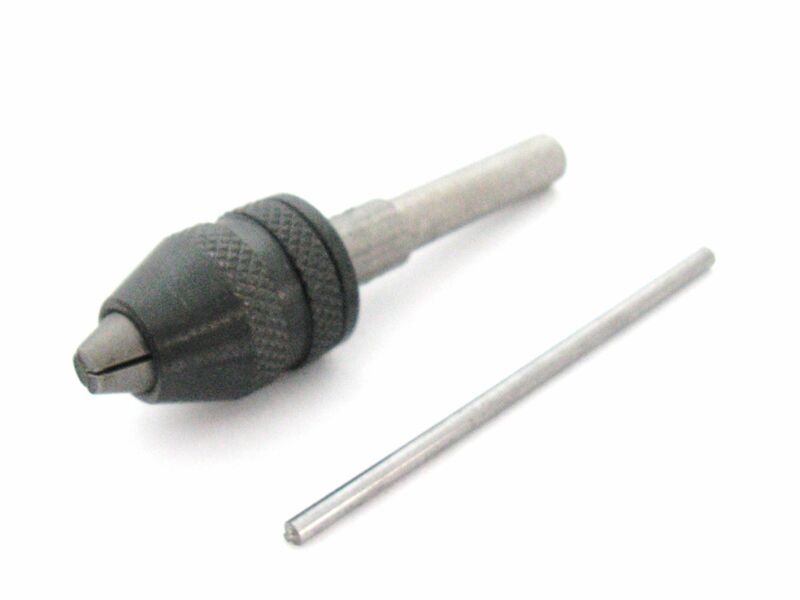 Mini 3 jaw pin chuck, Ideal for allowing a standard power drill to hold smaller drill bits. If using drill bits smaller than 2.5mm it is adviced to put drill in a drill stand to avoid bending the smaller drill bits. Suitable to use in all drills with a chuck capacity of 6.5mm.Great addition to any drill set for hobby jewellers and small DIY jobs. 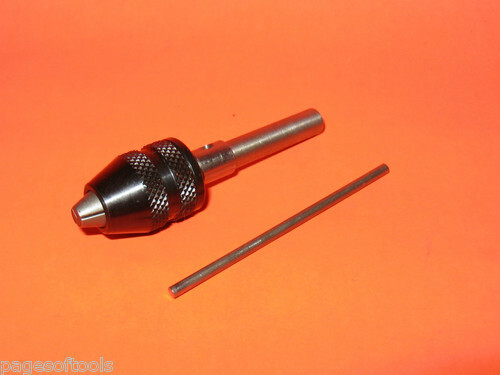 Converts standard drill chuck to hold small micro drills.